All within the universe that we live in contains an energetic field with different degrees of vibration, from the most subtle to the most dense. Each molecule, each cell, tissue, organ, gland, fluid in our body has its own degree of vibration. The same happens with each energetic center or chakra. Everything in a human body and in nature works on the basis of coherency, a harmonious order in which each element functions based on the flow of energy received. When some parts of your body are not vibrating in harmony, you become ill. Certain sounds and vibrations have the power to restore the lost harmony in our body. ARE THE CONNECTING THREAD IN THIS ACTIVITY. Stability – sensuality and fluidity – WATER. Efficiency – accuracy and purification – FIRE. 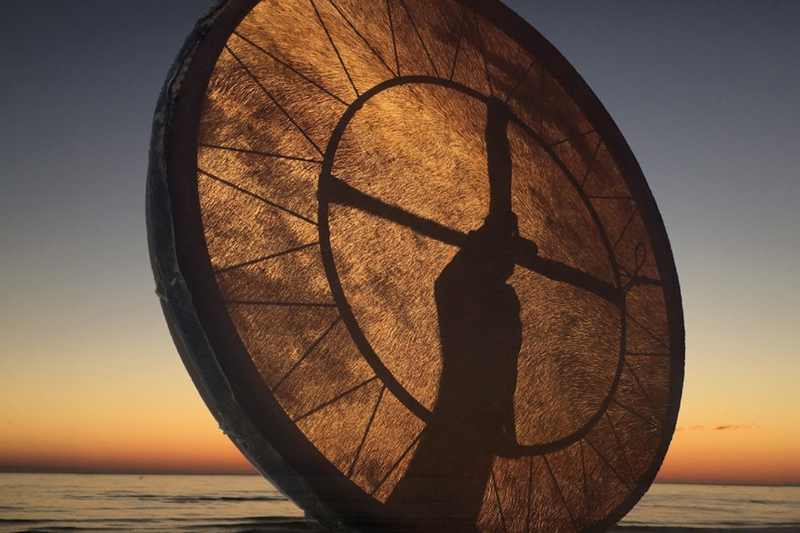 Lightness – freedom of movement – AIR. Balance – alignment and space intercommunication – ETHER. It is one of the highest and healing vibrations within the Sound therapy instruments. It is also one of my favorites, for being at the same time simple and intensely deep. Quartz crystal has the property of amplifying energy and intention. 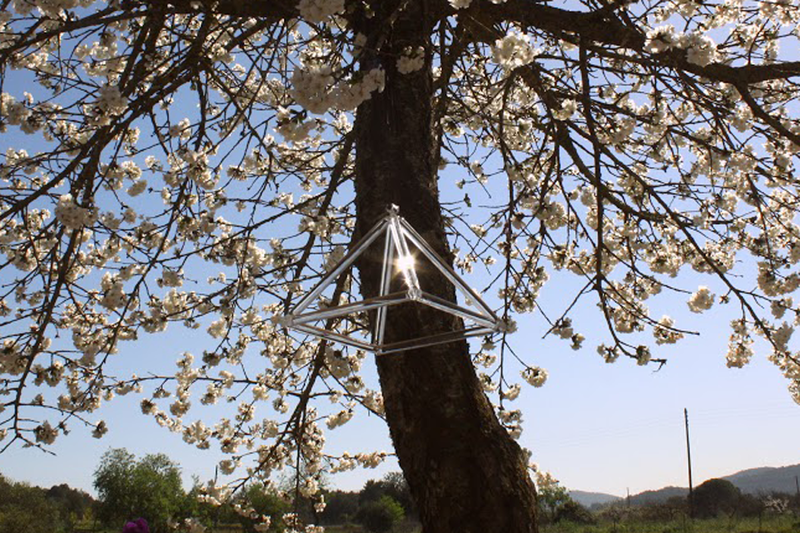 The Sound Pyramid combines sacred geometry with the advantages of quartz mineral. Its vibrational frequency synchronizes the hypothalamus pulsation with Pineal and Pituitary glandules, unifying and harmonizing its functioning. Generates calm in the Nervous system by neutralizing negative energy and chakra blockages. Its vibration inspires a feeling of deep relaxation and opening of the inner space. 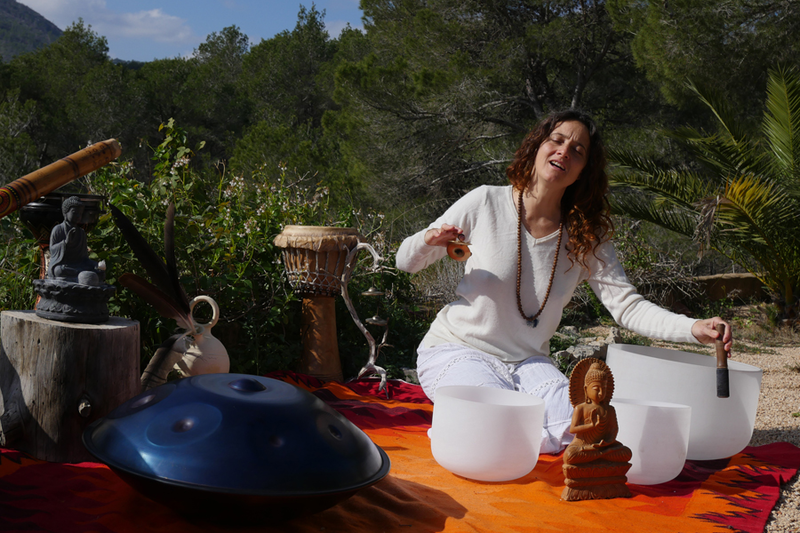 Since water is a high vibration transmitter, and considering that our body contains 72% of this element, the bowls resonance gives a delicate internal massage to every cell of our body. Crystal singing bowls are made from silica sand which is pure quartz in nature. Like a powerful radio transmitter, the crystal bowls transmit energy into the atmosphere, filling a person’s aura with vibrational radiance. Through the pure crystal tones as the sound effects brain wave activity one can travel into an altered state of consciousness. As different parts of the brain are affected, it is probable that they release different hormones and neuro-chemicals which can suppress pain, strengthen willpower in one’s creative talents and overcome addictions. This was found that among the wave patterns of different singing bowls there is a measurable wave pattern which is equivalent to the alpha waves produced by the brain. It is a musical instrument of melodic percussion created in the year 2000 by Felix Rohner and Sabina Schärer in Bern, Switzerland. It is generally played with the hands and fingers instead of mallets. It consists in an 8 tone scale which produces an overtone-rich, soft and warm sound with a precious therapeutic value. It is said by some that the beat of the drum resonates with the very essence of the human heart. Beating in harmony with our very own internal percussion. As it pumps our life-force around our bodies. 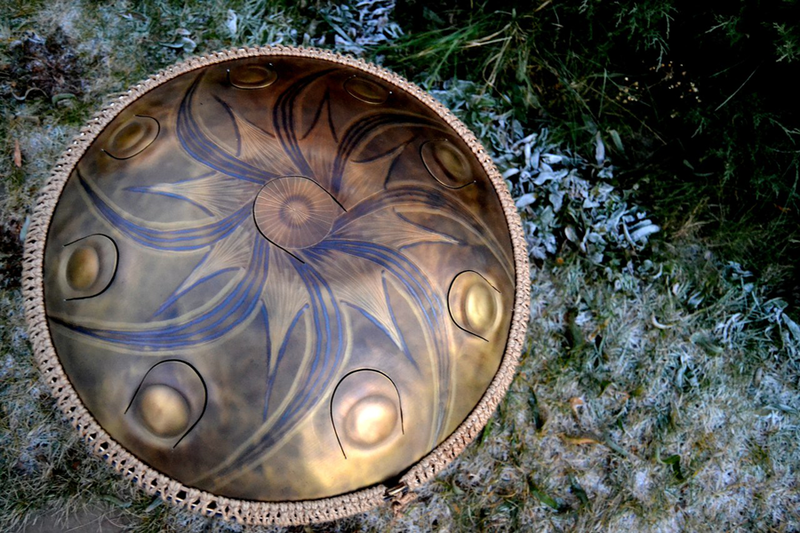 Hang Drum is a “magical” instrument for its great harmony. Relaxes tension, it energizes the body, calm anxiety states and balances emotions. North American Indian circular drums. They have a deep and harmonic sound related to the lower chakras (energy centers of our body) and the connection with The Mother Earth and the heart. A wind instrument developed by Australians Aborigine around 1500 years ago. Described as a wooden trumpet, its resonating and vibrating sound travels through our body leaving a sense of well being and accomplishment. 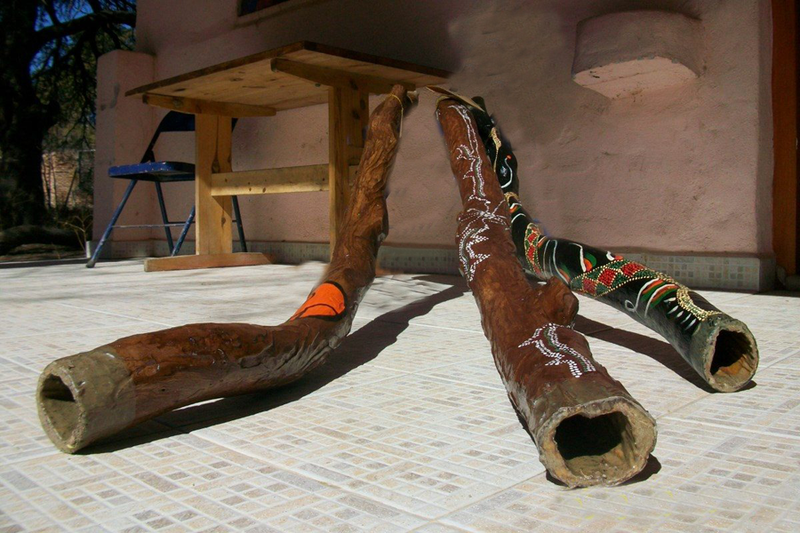 The Didgeridoo produces a low frequency claimed to have a healing effect on living tissue and promotes movement, unblocking energy in the body. 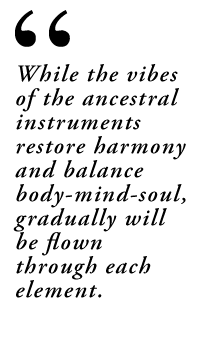 The benefits of vibrational healing have has been highly regarded in indigenous cultures for long. Elder indigenous people still play the Didgeridoo near sick people to help them regain health. Contemporary science is currently documenting the beneficial effects of vibration on bone, muscle, and hormonal functions. Therefore, didgeridoo sound healing could be considered as an alternate treatment for stress, disease, anxiety, depression, injury, and emotional pain and other medical conditions.